Blending exceptional comfort with advanced technological features, the Nimbus allows you to recreate a cinema experience in your living room. With integrated TouchGlide® technology, you can effortlessly adjust each sofa seat and headrest for personalised comfort. Nimbus's flexible modular design means that you can change it to suit your space whenever you need. 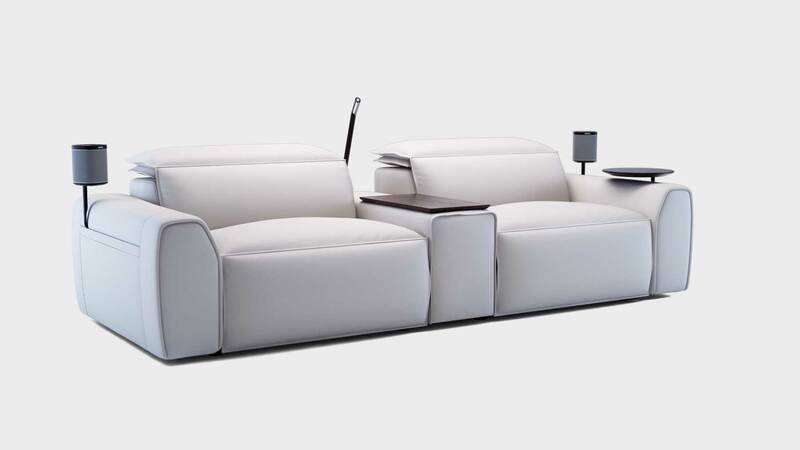 Whether you're setting up a home theatre room or looking for the perfect reclining lounge in your living room. Designed for style and engineered for comfort, Nimbus also offers incredible flexibility - with limitless configurations that you can easily change whenever you need to create your personalised recliner sofa. 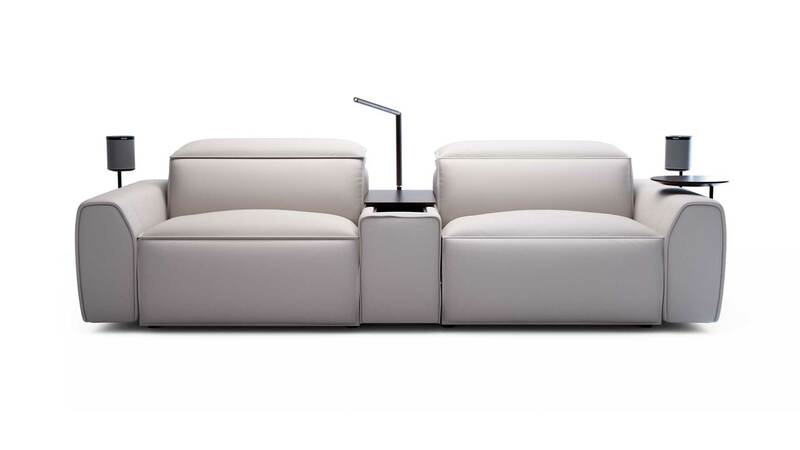 Designed in Australia, Nimbus features clean, minimalist lines, with a sleek low back and elegant layered cushions. The space saving reclining back mechanism allows you to place your recliner close to a wall. Keep everything at hand with optional Smart pockets on arms, offering clever storage for smaller items including TV remotes, magazines and tablets. Choose from a range of clever Smart Pocket accessories for the ultimate sofa experience including an LED reading light, smart swivel tables, and a charging table that recharges your mobile device effortlessly. Enhance your home theatre experience with the integrated Sonos speaker bracket. The King Living galvanised strengthened steel frame provides a strong foundation for each sofa. Precision cut for the ultimate durability. 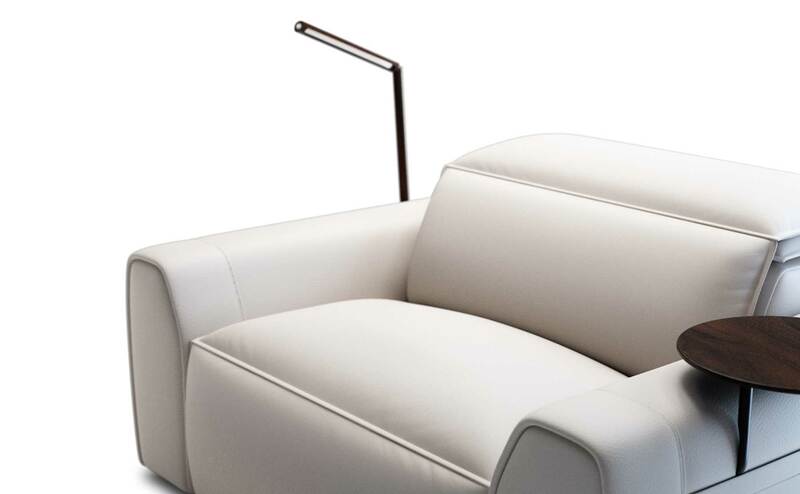 The Postureflex® Seating System works together with the steel frame to provide the ultimate support for your body and maintain the look of the sofa over many years. King Living creates high quality furniture with durable materials. Our galvanised strengthened steel frame is backed by a 25-year steel frame warranty. It's the details that make the difference. Choose from a range of premium fabrics or luxurious European leather coverings to create a look that's perfect for your home and lifestyle. Like all King Living sofas, Nimbus's covers can be professionally removed and cleaned or replaced. In Luxurious European Leather. Includes FREE Smart Pockets. The King Living Space planner tool can assist you to configure the perfect sofa for your space. Visit your nearest Showroom.